Sold a Single Family home in 2016 in Calabasas, CA. It was a pleasure to work with Aaron. Our house had a buyer even before it was in the mulitiples! The whole process was smooth and professional. we would highly recommend Aaron Scott. Aaron handled the selling process for us effortlessly on the outside but I know hard work occurred behind the scenes. He has an easy manner of relating to his clients in a high-stress environment. He is customer service-focused without losing his integrity. No doubt we would recommend him to our friends!! Bought a Single Family home in 2016 in Calabasas, CA. Aaron truly helped us find the perfect house for our family. He was always available to take our calls, very knowledgable about the area, easy going and never tried to sell us something we weren’t in love with. We highly recommend Aaron! He’s not only a great realtor, but a great guy! Sold a Single Family home in 2016 in Sherman Oaks, CA. I had a good experience with Aaron for the sale of my home. He made a great presentation and we discussed marketing strategies. He made some good suggestions of things to spruce up the house and it looked great. We had a very successful first open house with multiple offers. The offer we decided to accept required some strategy and negotiating, and I was very happy with the outcome. I also had an issue after the purchase which Aaron has stayed in the loop and helped me out. He did a great job. Aaron is a true stand-up guy. He is honest, hard working and knows the business. His excellent relationships with other real estate professionals proved successful in getting us the PERFECT home. Bought a Single Family home in 2016 in West Hills, CA. There is a reason Aaron has all 5’s from every one of his clients. He is simply the best at what he does. My wife and I have been looking for a house for 2 years. We’ve met with every realtor out there and spent a LOT of time with a couple. The big difference with Aaron is…he cares. We met Aaron about 6 months ago and from the very start, we knew he had our best interest at hand. He knows so much about every aspect of the process. In fact, when our bank dropped the ball on us with 2 WEEKS LEFT IN ESCROW, Aaron delivered with the right people to come in and fix our problem quickly. He is a family man. But more than that, he has become our friend. As a first time buyer, we wanted to be involved with every part of the process. He made sure we were always in the loop. We never felt pushed. If the house ended up not being right for us, he kept us feeling positive that we would find our gem. And at the end of it all, we did. We couldn’t be happier with Aaron and highly recommend him if you’re even thinking about looking for a house. Seriously, don’t look further. Bought a Condo home in 2016 in Calabasas, CA. Aaron is a fantastic agent, he is highly knowledgeable and honest. My buying experience was a smooth process and I felt well informed all the way through. I would highly recommend Aaron to my family and friends.  Sold a Single Family home in 2015 in Woodland Hills, CA. 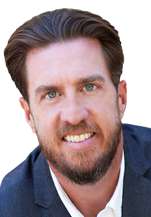 I used Aaron Scott as my realtor to purchase a home in Woodland Hills this year and was very satisfied. I have purchased and sold several homes over the years and Aaron was second to none. He was very responsive, professional, knowledgeable and personable. Aaron knew the local communities, was a great negotiator and had expert overall knowledge. I would highly recommend Aaron and will be utilizing him again when it is time to buy or sell a home. Sold a Single Family home in 2015 in Calabasas, CA. Aaron was very professional and positive. It was important for me to be able to reach him in order to execute and process our transaction, and along with being very good at what he does, he was also accessible. Our whole transaction went very smoothly and I would highly recommend Aaron to anyone looking for an excellent agent who knows his stuff. Aaron is a real pro, I was quite a distance away in another state, he made the sale effortless, he was available and very patient as we took awhile to get the house ready. we had a few challenges and he always kept cool. I highly recommend Aaron, a great agent and person. We felt that Aaron did a great job and was extremely perservering for us with potential buyers. He always made time to talk with us during the process, and we never felt he was in a rush or hurry. He held many open houses and always gave us enough notice when bringing by potential buyers. Ours was not the easiest house to sell, but he was always optimistic that there was a buyer out there for us. Aaron is a true professional who offers up solid results. He was extremely strategic when it came to selling my home. He took my needs into consideration and built out a solid marketing plan based on my initial requirements and time frame. His insights and strategy paid off. I received an offer for my home the first day it was listed. Less than 30 days later I had closed escrow. It was a pleasure working with him. Highly recommended. I ended up hiring Aaron after my first agent could not sell the home on time and always came up with excuses. I am glad I hired Aaron when I relisted. He helped me sell my home at asking price. He is very knowledgeable and highly responsive. I highly recommend him for your real estate dealings. Aaron made the whole process of selling my home seamless. He was very familiar with the area, priced the house fairly and sold the house in less than a week. Aaron was very responsive to my e-mails and phone calls and I would highly recommend him. Sold a Single Family home in 2015 for approximately $575K in West Hills, West Hills, CA. Bought a Single Family home in 2014 for approximately $1.025M in Woodland Hills, Woodland Hills, CA. Aaron was a great choice for us for our new home purchase. We had no knowledge of the area and he helped us hone in on the perfect neighborhoods for us in less than a day. He asked all of the right questions and listened to our preferences and needs. Aaron also had solid references for Inspectors. Bought a home in 2014 in Tarzana, Los Angeles, CA 91356. We worked with Aaron on our recent home purchase in Woodland Hills. Aaron is very knowledgable with the west valley area and was the perfect fit for what we were looking for. We spent around 5 months finding the perfect home. During that time Aaron continued to send us new listings to check out, scheduled tours to see homes, and provided strategic advice with each offer we made. In a very competitive market, we would not have been able to get the house we got, at the price we did without Aaron’s help. Highly recommend! Bought a Condo home in 2014 for approximately $525K in Encino, Encino, CA. Aaron is a great realtor. He is very responsive and really knows the real estate business. But what I really like about Aaron is his honesty. He didn’t tell me what I wanted to hear, he told me what I needed to hear. Sold a Single Family home in 2014 for approximately $700K in Woodland Hills, Woodland Hills, CA. I can’t believe how lucky I was to find Aaron. I needed to sell my mom’s house in the San Fernando Valley, but live over an hour away. I met with Aaron and explained our circumstances (my mother was no longer living there due to an injury she sustained) and that she had final say on selling the house. Aaron met with her the next day, he was so sweet with her and gave her all the time she needed to feel comfortable about selling her house, explaining the selling process without overwhelming her. Aaron made the process of selling the house so easy for us. He has extensive knowledge of the area and he gave excellent recommendations to make some simple improvements before the house was listed, which I believe made a huge difference in getting the house sold quickly. In fact, more quickly than any of us would have imagined. Aaron was a big help as our Agent during our house purchase. He was there with us from the beginning, through to the end of our purchase and afterwards with issue resolution. Aaron is very knowledgeable of the process and the market, giving us accurate and timely information along the way. The biggest plus for me was the way he goes about the sale. He did not oversell or get in the way of the decision making process between me and my wife. He was impartial yet informative, allowing us to come to the conclusions we needed to. He always has a good attitude, and works very hard to get you the house you want. He did for us. I can surely recommend Aaron. Showed home in 2014 in Sherman Oaks, Los Angeles, CA. Aaron was very helpful,knowledgable and professional, when we were considering a new area to possibly relocate. When the time is approriate I will definitely contact Aaron to help complete the process. Sold a Condo home in 2014 in Sherman Oaks, CA. Aaron Scott listed and sold our condominium in the spring of 2014, and I must say that the experience could not have been more positive. From the preparation of our home for showing, all the way through the final closing, the process went smoothly. He was sensitive to our needs and concerns, and we never felt any pressure. He accurately determined the ideal asking price for our home, which translated to immediate and optimal offers. Aaron really knows his business and I enthusiastically recommend his services. Bought a Single Family home in 2013 in Woodland Hills, CA. Aaron was excellent. He was professional, patient and hard working. He sold our condo quickly and we found a great home soon after. Great job Aaron!;). Aaron gets the job done. He patiently worked with us for two years to find the right house. He strikes the optimal balance between listening and push back. Dealing with anyone else is most likely a mistake. Bought a Single Family home in 2014 in Simi Valley, CA. We recently purchased a home with Aaron Scott after an exhaustive search over a large area. He helped us narrow down our search area and find the perfect home for our needs. He kept our needs in focus during the entire process and walked us through each step. We feel confident in recommending Aaron to anyone looking for a new home. With the recent market improvements, our family was in a position to sell our starter home in Woodland Hills and move to an upgraded house in Agoura Hills. Aaron was our agent for both the sale and the purchase. His local knowledge in the WH market really helped us during the pricing and marketing of the house. We wound up w/ multiple offers and an excellent set of terms for the escrow while we searched. And, on the purchase side, he did an excellent job helping us navigate the new neighborhoods to find a property that really matched everything we were looking for: school, neighborhood, pool, house size, etc. The process from listing to sale to offer to purchase and closing was excellently choreographed in a very competitive market. His expertise and calm, thoughtful nature were an invaluable asset to calm the nerves of my wife and I during the process. We couldn’t have asked for a better agent and advocate. Had a great experience with Aaron. My journey to find the right house started off on the wrong foot, but after contacting Aaron he instantly made the process smoother. After dealing with several unreliable realtors prior to meeting Aaron, it was a relief to have found someone that cares more about the buyer than making a deal. He showed that he cared for my wants and needs and did not waste my time showing me houses that would not ultimately be obtainable. After a short time we finally found the right home, and he expressed dedication and motivation in order to close the deal. Very prompt and responsive to any questions I had, and made buying a home a exceptional experience. Thank you Aaron! Aaron helped us find our first house 4 years ago in Woodland Hills. It was a great starter home and he helped us get it at a great price. We never felt pressured and he was extremely good and pointing out all pros and cons of each house we viewed.About a year ago we let him know that we wanted to upgrade our house and as soon as the market comes back up we wanted to talk about selling. He made us aware, due to recent comps in our area, that now was the time to sell. He helped us come up with the best plan to stage our house and the first day on the market brought in 2 strong offers! That process went amazingly well and his team was on top of hitting all of our deadlines. He was very quick on any questions along the way and I felt that he was always available. He knows the Valley and can help you on any kind of property! Highly recommend! Aaron and I had worked together for over a year before we found the perfect home for our family. His professionalism along with his friendly disposition made him a pleasure to work with. His expertise and knowledge in his field gave us the confidence to trust him and allowed us to feel that we were working with a seasoned professional when it came to an investment as buying our home.Aaron’s availability and flexibility were beyond my expectations as a client. His genuine care and desire to find us exactly what we wanted expressed to me that he truly has his clients best interest at heart and and that we were his top priority. I would work with Aaron Scott in the future in regards to my real estate needs and would highly recommend him to anybody who is searching for a home. Aaron recently closed an extremely difficult, complicated and time-consuming sale on my behalf. How he managed to keep the multitude of players involved moving successfully in the same direction was beyond belief. My gratitude goes out to him for the countless hours he devoted to this project. The work he does, both on and off camera, is incredible. Thank you, Aaron! Aaron is an expert of being a buyer’s agent. He is able to find us listings very quickly, sometimes even before they show up on Zillow or other websites. Once we decided to put an offer, he is also very aggressive in helping us get the deal.He is responsive in our requests, which we usually get his reply within 24 hours. We would not hesitate to recommend him to our friends and use him again. The sale of our home was seamless. Aaron is extremely experienced when it comes o marketing a home. This home was the second home Aaron sold for us. The first was in Bell Canyon. Both homes ended up selling for top dollar and set new high ends for both neighborhoods. I highly recommend his services to anyone wanting to get the most for their investment. Aaron impressed me with his exceptional knowledge of the condo buildings in the Sherman Oaks area — he knew what really was a comparable property and what just looked like one on paper. He analyzed the trends of recent sale prices with insight and foresight, and his advice on how to price the property was right on the money. He negotiated in a multiple-offer situation with calm professionalism, and I could rely on him to be there to handle the various inspections and legal requirements when I was too busy to deal with it. He’s a pro, and I highly recommend him. Aaron handled the sale of my mother’s home after she passed away. I was not from the area and Aaron had great knowledge of the neighborhood, the home prices and how our house would do in the present market. He gave great advice on what should and should not be done to upgrade the house and get it ready for the market. He knew where we should spend our money and where we shouldn’t. He helped us get the house ready for sale and got it sold in a record amount of time….in a bad market!Aaron is smart, friendly and has great business sense. He is not just a local realtor, he has an amazing amount of knowledge of real estate and investing.Aaron takes care of all of the details so very little falls on you. I had such trust in him and knew that he always had my best interests in mind. If you want an honest, hard working, intelligent realtor, you need to hire Aaron Scott! Aaron has negotiate our last two real estate transactions, and without a doubt we will continue to use his services again. Aaron worked very hard for us, and demonstrated a very high level of professionalism. I will happy to recommended Aaron Scott for your real estate needs. Aaron was incredibly helpful and knowledgeable regarding all aspects of buying and selling a house. He was very thorough from start to finish, including going out of his way to ensure the property was in order as should be. All in all a pleasure to deal with and incredibly efficient. Definitely 10 out of 10 and would highly recommend to everyone. Aaron is superb at what he does. He held my hand when I needed it, walked me through things I didn’t understand, and remained composed when I wasn’t ideal to handle. Aaron is a consummate professional who, simply, gets the job done. He is fantastic.